Robert Garcia: That’s not right, Reyes gloves are good too, with this you can hit like Maidana so hard this gloves will gonna make big difference. I still don’t believe that Manny Pacquiao will wearing Reyes Gloves, Mayweather won’t allow it. Mayweather doesn’t allow Maidana to wear this gloves so why he gonna allow Pacquiao, Maidana hits harder maybe not. Robert Garcia: I believe that too, he could not him out, maybe not knock him out but stop him from many punches maybe cuts or something because he does got hit, Maidana hit him alot specially in the first fight. 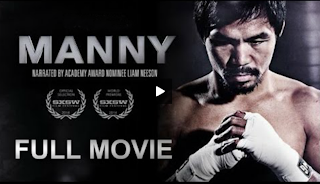 Can Manny Pacquiao Knock Out Mayweather? Robert Garcia: I don’t think they can knock each other out, Pacquiao got more chance yeah how’s gonna land these punch it could be hard. It’s interested everybody know how to beat who, Mayweather can take a punch I don’t see Pacquiao landing one punch and knock him out. Pacquiao vs Mayweather: Is The â€œFight of the Centuryâ€ Finally Happening? Mayweather still Best Ever after Pacquiao Knocks him Out?